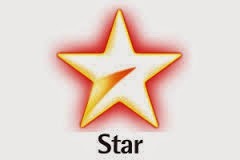 Intending to spark a billion imaginations, Star India, one of India’s leading entertainment broadcasters, selected Accenture to help develop, launch and deliver its over-the-air programming to India’s online, digitally-enabled consumers on almost any mobile device. Called hotstar, the innovative service debuted on January 7 through Star India’s wholly owned subsidiary, and when fully deployed will be available to India’s entire population. Last Feb. 15, hotstar, along with starsports, its digital platform counterpart, served more than 25 million video views during an Indian-Pakistan cricket match to make it the most watched sports event online of all time. National Association of Software and Services Companies (NASSCOM) today announced that the Executive Council has elected Mr. BVR Mohan Reddy, Founder and Executive Chairman, Cyient Ltd. (formerly Infotech Enterprises) as the Chairman of NASSCOM for 2015-16. Mr. BVR Mohan Reddy has been a member of NASSCOM’s Executive Council and will take on the new role from April 09th, 2015. He succeeds R Chandrasekaran, Executive Vice Chairman of Cognizant India, who served as Chairman of NASSCOM for the year 2014-15. 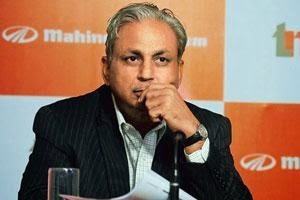 The Executive Council also announced the election of CP Gurnani, CEO and MD of Tech Mahindra as the Vice Chairman of NASSCOM for 2015-16. “I am grateful that this responsibility comes on the thrones of a significant Digital storm that is reshaping the global marketplace, necessitating IT investments in every function to remain competitive and relevant. The political stability in India combined with game-changing initiatives such as Digital India, Smart Cities, Make in India are opening up unprecedented opportunities for the industry to contribute and benefit from the growth momentum. The spurt in product start-ups and the investment climate are reflective of this renewed confidence. 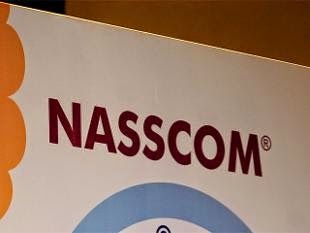 I look forward to working with the NASSCOM Executive Council on catalysing Innovation and Transformation,” said CP Gurnani, Vice-Chairman, NASSCOM. 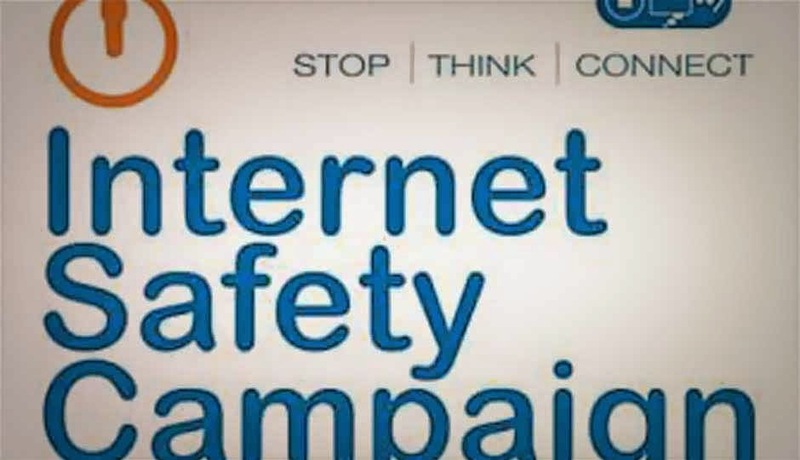 Data Security Council of India (DSCI) announced the inauguration and release of Cybercrime Training Material Level-2 on April 7, 2015 at India Habitat Centre in New Delhi. Shri G.K. Pillai, Chairman, DSCI and Former Home Secretary, Govt. of India released the publication at the event, ‘Meeting the Cybercrime Challenge through Capacity Building’. The training material is created as a standardized curriculum to train police officers in a five day program through DSCI Cyber Labs. The curriculum focuses on the latest developments in technological and legal aspects of cybercrime investigation. The resource material will take police officers through theoretical aspects which include appreciation of cyber forensics tools and technologies used in investigations. It further seeks to acquaint them with not only hardware but also with concepts like data logs, email headers, mobile forensics and social engineering attacks including phishing and identity theft. In addition to the inauguration and release, there were active discussions on the need of Standard Operating Procedures (SOPs) for cybercrime investigation and elaboration on the need for Corporate and Digital Forensics. Commending efforts by DSCI in capacity building of LEAs to better handle cybercrimes, Mr. R Chandrashekhar, President NASSCOM said, “While cybercrimes affect security and rights of individuals, they also strengthen transnational criminal organizations and risk critical information infrastructure on which societies depend and undermine the security and trust necessary to harvest benefits of ICT.” While underling the importance of building capacities of law enforcement, he said “Capacity building – including resource mobilization, training and sharing of best practices are essential for enabling the law enforcement capacities in dealing with technical investigations.” He added “here, public education and awareness become essential elements to prevent cybercrimes”. The pervasiveness of Information and Communication Technologies (ICTs) has resulted in an upsurge in frequency and severity of cyber-attacks targeted on industry, government and civil society. The sophistication of the cyberattacks has led to highly motivated advanced persistent threats that render conventional investigation techniques inadequate. With the Internet becoming the single largest data source for information collection and intelligence, due to publicly available online data, the criminal justice ecosystem needs constant up gradation of its capabilities in handling cybercrimes. NASSCOM and Data Security Council of India (DSCI) have played a major role in the building capabilities to combat cybercrimes. DSCI-NSAACOM through its Cyber Labs operational in seven cities in India, train police officers in cyber forensics, which includes gathering appropriate evidence and presenting it in a manner that is acceptable to courts of law. As part of the initiative, the DSCI Cybercrime Investigation Training Material greatly adds to the capacity building of cybercrime investigators. 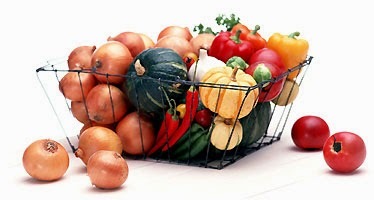 NRC Agro, one of the leading vegetables’ suppliers in Chennai, today announced the automation of all its business operations using the Tally.ERP 9 software package from Tally Solutions Pvt. Limited (TSPL). The company is now covering a range of operations, from account and inventory management to tracking all areas of outstanding and product movement with greater accuracy, using Tally.ERP 9. NRC Agro, which first implemented Tally in 1991, has been significantly expanding its operational efficiencies over the years with the implementation of all subsequent product enhancement releases of the Tally software. With the company’s expanding business, there was a requirement for greater automation in operations, better speed in data processing, along with higher levels of concurrency in data entry and accurate profitability analysis. In 2013, after implementing Tally.Server 9 upon the existing Tally.ERP 9 architecture, the company has been getting 100% accurate and real-time Management Information System (MIS) when handling up to 60 Metric Ton (MT) of quantity per day. The company now handles 50% more volume of data in peak hours, with greater concurrency and agility. This has in turn helped the company to report the real-time average rate per kg to farmers for their respective lots/vegetables. NRC Agro currently uses Tally.Server 9 and Tally.ERP 9 for all MIS reporting requirements including Customer and Supplier Outstandings, Stock Summary, Cash/Bank Balance, Bills-to-Pay and Bills-to-Receive and Profitability Analysis. “Earlier all our financial accounting functions were done manually which was leading to poor speed and inconsistencies in operations. This prompted us to move to Tally. The simplicity of the software made it extremely easy for our existing accountants to quickly learn and implement Tally. Most of our employees have a basic educational background, but are well-versed in Tally now,” says Ram Mohan, Owner – NRC Agro. “Also, the recent decision to adopt Tally.Server 9, has been helping us achieve the desired results.” he further added. 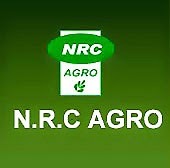 NRC Agro, is one of the earliest adopters of accounting software in their line of business. It now boasts of a robust IT infrastructure, and claims that the right technology implementation has been one of the major reasons behind the company’s current annual turnover of 35 crore. 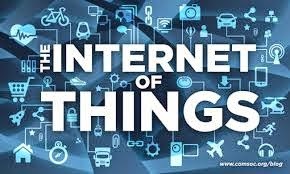 Gemalto, the world leader in digital security, is enabling two Internet of Things (IoT) solutions that won the prestigious 2015 Connected World Awards. Gemalto contributed its ruggedized M2M connectivity and security technology for these award-winning solutions designed by Airo Wireless, and by SOLARKIOSK. The awards highlight Gemalto's industry leading Cinterion technology, which delivers high-speed, low latency wireless connectivity and security for Airo's first-to-market 4G intrinsically safe industrial PDA as well as SOLARKIOSK's E-HUBB, a solar powered autonomous energy system and business hub that enables sustainable local entrepreneurship and economic development in communities throughout several emerging economies in Africa and Asia. Airo's new generation of industrial PDA's uses Gemalto's advanced Cinterion 4G M2M connectivity solution to provide GPS capabilities and reliable and fast communication for workers in mission critical situations in the oil and gas, petrochemical, pharmaceutical, public safety and utility industries. Gemalto, together with INSYS icom, a leading technology partner for industrial data communication, assisted with the development of secure and reliable wireless communication capabilities to SOLARKIOSK's technology that provides locally operated solar-powered energy services, connectivity, solar products and quality consumer goods. "We are honored to be a part of the 2015 Connected World awards for solutions such as Airo Wireless and SOLARKIOSK," said Juan Carlos Lazcano, Vice President of M2M and IoT for North America at Gemalto. "Gemalto and its customers are at the forefront of M2M and IoT innovation delivering reliable and secure connectivity across utilities and power markets ultimately unleashing the power of the Internet of Things to improve the way we live and work. "Smart energy. Mobile testing. Fleet tracking. Risk management. These are just a few of the ways the companies are capitalizing on connected technology to improve business processes," says Peggy Smedley, editorial director, Connected World magazine. 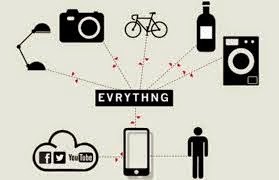 "The 2015 Connected World Awards winners are leveraging the Internet of Things to transform the technology landscape."